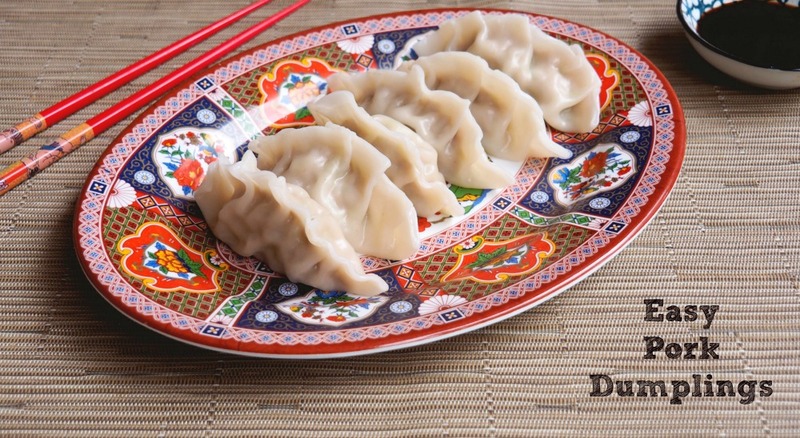 Making your own dumplings is easy when you know how! 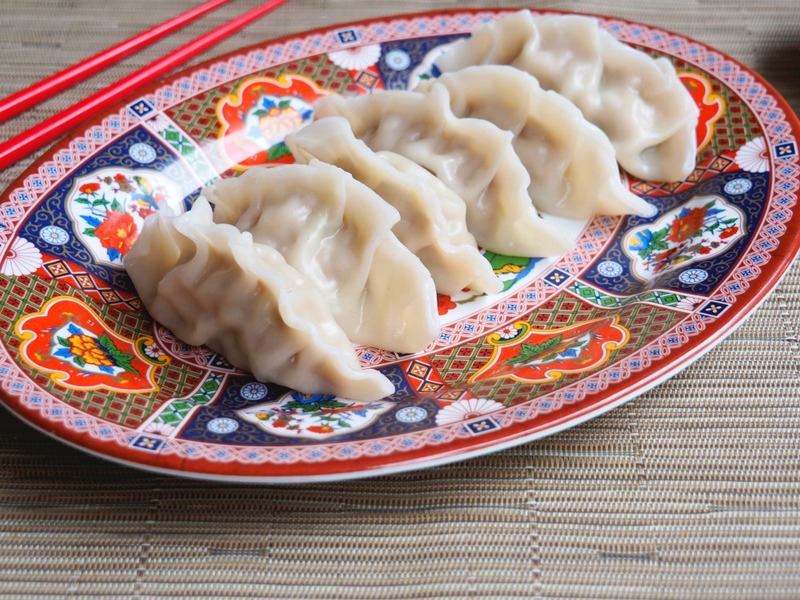 These boiled pork dumplings are quick, easy and totally delicious. I am very excited about this month’s Reader Recipe! It’s no secret that I am properly addicted to dumplings. 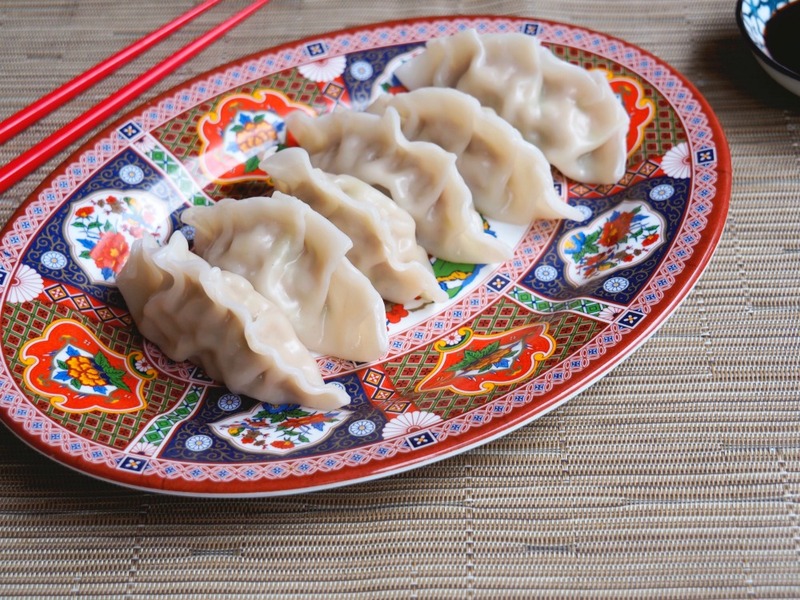 It’s so easy for me to answer the question “if you could eat one food for the rest of your life, what would it be?” Because it would be dumplings, of course. To tell the truth, I have never met a dumpling I didn’t like. I eat them out with delicious regularity but have always put making my own in the too hard basket. However, making my own dumplings was something I wanted to tick off on my list of 101 Things To Do in 1001 Days so a few months ago, I headed to my mate Steph’s for a lesson on how to make delicious dumplings. I wish I hadn’t waited so long because seriously, making your own dumplings is so easy even I can do it! Of course, this isn’t my first foray into DIY dumplings, remember these Vegetarian Steamed Dumplings? They’re so good! 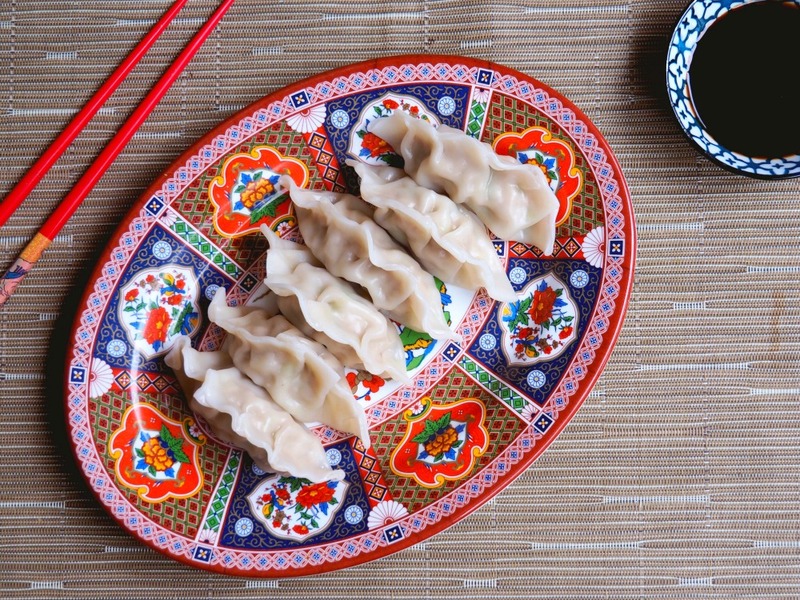 In this recipe we boil the dumplings which is quicker, easier and as these dumplings contain so little fat and almost no sugar, surely they can basically be considered a health food?! Well, that’s my theory and I’m sticking to it! You can make this dumplings and cook and go or cover and refrigerate if you want to cook later on the same day. These dumplings are freezer friendly, just freeze as is on a plate or baking tray, leaving some space between each dumpling so they don’t stick. Once the dumplings are frozen, you can store them in a freezer bag so you can satisfy your dumpling craving at any given time. If I’m feeling fancy, I like to make my own dipping sauce which is almost easier than buying store bought dumpling dipping sauce (that’s totally a thing,) but if all else fails a dunk in soy sauce will do nicely! If you could eat one food for the rest of your life, what would it be? Are you addicted to dumplings too? To make the dipping sauce, combine all sauce ingredients in a small bowl and mix well. Combine all the ingredients except the gow gee wrappers in a bowl and mix well. To make the dumplings, place a scant teaspoon of the pork mixture in the centre of the gow gee wrapper. Dab water half way round the outside edge of the wrapper. Fold the wrapper in half so it’s like a taco and gently press the edges together with your fingers. To make the pleats, hold your thumb and index finger at the centre of the seam you just sealed, and with your other thumb and index finger, fold a small portion of the top dumpling skin towards the centre seam. This is your first pleat. Continue this process until you have pleats along the seam of the dumpling. If the pleats aren’t sticking, just dab with water and if any filling escapes, gently squeeze it back in. To cook the dumplings, fill a large pan two thirds of the way with water. Bring to the boil on a high heat and add as many dumplings as you can comfortably fit in one layer. Cook in the boiling water until they float to the top and then continue to cook for a further 2-3 minutes.